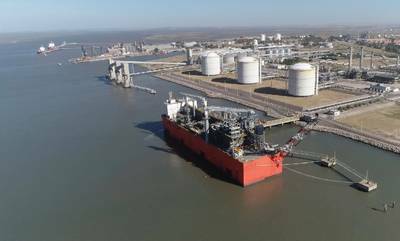 Belgian shipowner Exmar said its first floating LNG (FLNG) production unit Tango FLNG, to be renamed Tango FLNG, has berthed in Bahia Blanca, Argentina. The Nicolas Saverys-led shipowner said in a press release that the Caribbean FLNG will stay in Bahia Blanca and produce LNG for export for YPF over a ten-year period. 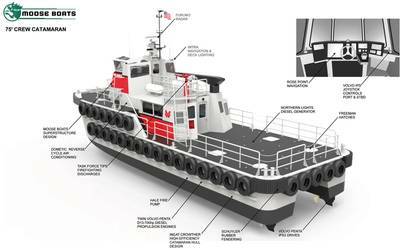 The next major project milestone will involve outfitting and commissioning the unit. Departure of the first fully-loaded conventional LNG carrier is expected in the second quarter of 2019. Tango FLNG is the first project using Exmar’s FLNG technology and will soon become the first FLNG to produce LNG in the Americas. This will turn Argentina into an LNG exporter. Tango FLNG is designed to operate with a liquefaction capacity of approximately 0.5 million tons of LNG per year and will play a key role in YPF’s endeavours to export Vaca Muerta gas reserves to international markets.